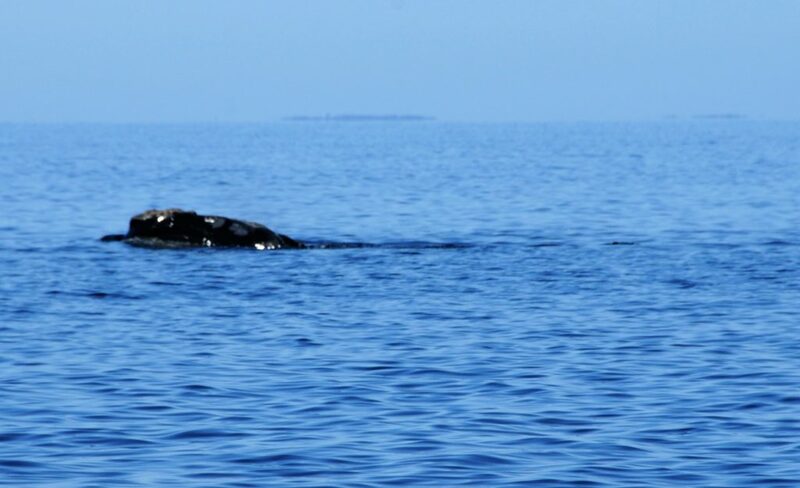 Regina Asmutis-Silvia, the Executive Director and Senior Biologist for Whale and Dolphin Conservation- North America, spoke with Rob about North Atlantic Right Whales. Once a critically endangered mammal with a population of less than 300 individual whales, the North Atlantic Right Whale has slowly built its numbers up over the last four decades. Until 2013, when the population reached 476 whales. Then fewer whales were seen in the Gulf of Maine. In 2015 and 2016 forty to forty-five right whales were found far north in the Gulf of the St. Lawrence. Last summer, 2017, a hundred right whales were found north of Prince Edward Island. Unfortunately, 12 twelve right whales were found dead in the Gulf of St. Lawrence. Regina explains what happened, why so many whale deaths, and what is being done to make the tragic summer a onetime event and lost for right whales. Regina invites listeners to act in defense of right whales and for healthier ocean ecosystems. Regina Asmutis-Silvia, photographed with a humpback whale, is the Executive Director and Senior Biologist for Whale and Dolphin Conservation- North America. She has undergraduate degrees in biology and chemistry and a graduate degree in biology. 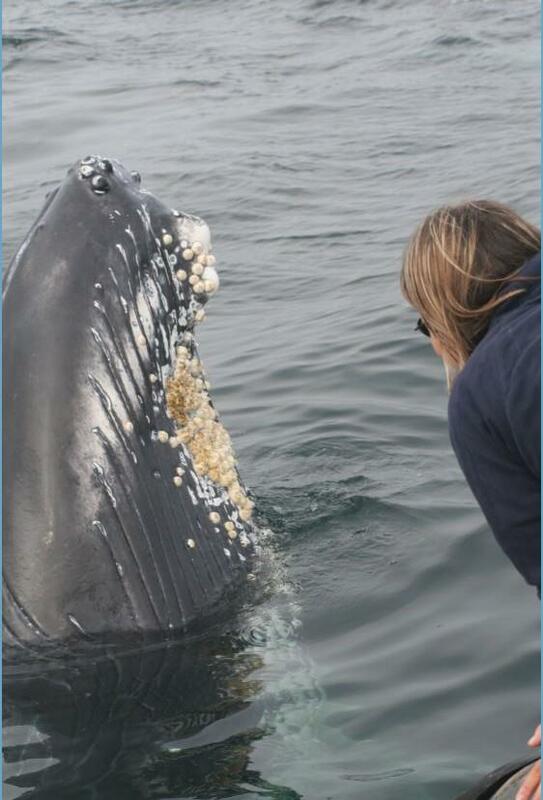 She has been active in whale research, conservation and education since 1990. Regina currently sits on the federally appointed Atlantic Large Whale, Harbor Porpoise, and Atlantic Trawl Gear Take Reduction Teams.